With this past winter's releases, Technique Tuesday did not disappoint. Not only were the images and stamps up to speed with the trends, the quality, as always, remained stellar. I love these stamps because they are so durable and crisp. I had not one issue with them. The cost for them is great, especially for the quality you are getting. The quality of the stamps. The crispness of the images. Great versatility of the stamps. As stated in my previous review of their stamps (click here to see previous article), I don't like my stamps to be discolored, but I do know that is something that happens when you use different inks. It does not effect the quality of the stamps in anyway, it just changes the cosmetic look of them. Yes I am picky, but I get over it. Supplies: Cardstock: Bazzill Basics; Patterned Paper: Paper Girl line by The Girls' Paperie; Chipboard tile: Technique Tuesday; Rhinestones: Kaiser Craft; Stamps: Aviary by Technique Tuesday; Ink: Exclusive Inks by Close to My Heart in Ocean and Grey Wool. I also used some of Technique Tuesday's Chip tiles and buttons. They are fabulous to work with. Smooth and easy to stamp on. LOVE THEM!! Bottom line: These stamps are great quality for a great cost. You really can't go wrong with them. What do you think? Are you ready to take flight with Aviary or show your mama some love? Let us know what you think! Leave a comment by midnight EST on Tuesday to be entered to win a fabulous prize from Technique Tuesday! I have one older set of Technique Tuesday letter stamps. I need to get those out and use them. My favorite of these sets is the simply stated. Love it. I love their stamps. And classes at CK. I have taken a few of their classes and they are awesome! If you stamp with a light color ink first it will stain your stamp in that color. Totally cured my problem with the stamps staining. Just avoid the dark colors the first time... works like a charm. I love all things stamps and Technique Tuesday is no exception. Their products are always top notch, would love to get my hands on some. I love Technique Tuesday! Other acrylic stamps don't seem to stamp as well for me. What a wonderful giveaway--thank you!! I have never used their stamps, but I love the Aviary set. Great stamp sets today! My fave is the aviary set, so many great bird images! I love Technique Tuesday's stamps. They really set the quality standard for acrylic stamps. These one's are adorable! I especially like the tire tread stamp. I love their stamps.....and these new ones are FABULOUS!!! 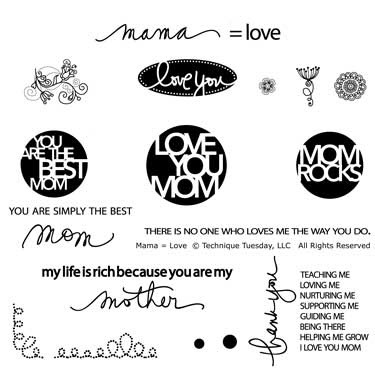 I have always loved Technique Tuesday stamps and any of these stamps would be so versatile for cards and scrapbooking. I especially like the Road Trip set. I like that their stamps are not big & bulky ... they don't take up alot of 'space' on layouts, can be layered, and used in such a wide range of 'creations' .... from layouts to cards, tags, and more! I love Technique Tuesday stamps and chipboard. Love the aviary stamp set. Thanks for a chance to win. Those simple stamps are the ones I need for cards and such! I love Technique Tuesday, and I love your creations. Thanks for the reviews and chance to win! Actually, this is my first look at these and I could definitely use these in my stash. Thanks for sharing! Terrific stuff! I have to admit I am new to Technique Tuesday but I am loving what I am seeing! Thanks for the review. I'm going to have to get my hands on these!!! Aviary is a cute set! I have never used Technique Tuesday stamps before but have admired their designs for a while now. I find if I use a light color ink the first time I use an acrylic stamp, it really helps with the staining issue. I love Technique Tuesday. I've used them for years. Road Trip looks awesome for masculine cards and layouts. Aviary is also one of my favs. I probably have all of Technique Tuesday tile sets. I love to use them especially with inks. 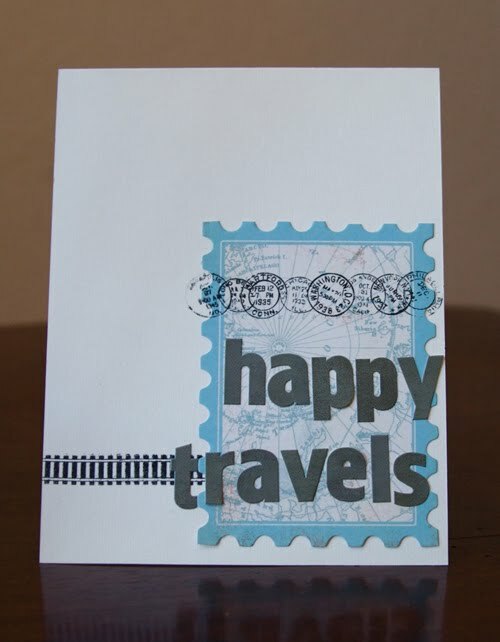 And just lately I have taken a class that used one of their stamp sets. I know that in the future I will need more of their stamp sets. TT always has great word designs for their stamps. Love your examples. I absolutely LOVE the road trip set! MUST BUY! I love the Simply Stated set--I am always looking for good greeting sets. I have one Technique Tuesday stamp set, and I love it. I agree, the images are nice and crisp. Thanks to previous posters for the tip about stamping with a light color first...great idea! Beautiful cards and beautiful stamps! Love the Aviary the best!!! i love TT's stamps and the fact that they produce such crisp, clear images. the Aviary and Simply Stated sets here are my faves - so VERSATILE! as a card maker, they're just perfect for my projects! 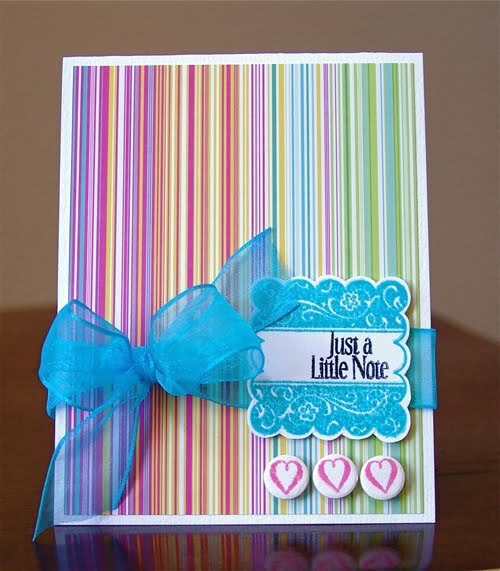 Great cards; I'm a fan of Technique Tuesday! Technique Tuesday stamps rock!! I have a whole binder full of them-but the great thing is I can always use more!!! I actually don't think I've ever had any Technique Tuesday stamps set...hmmm...I better go check! I love all of these sets, so you couldn't go wrong with even getting just one...however, I do the Borderline-Road Trip set caught my eye > lots of ideas for this set! 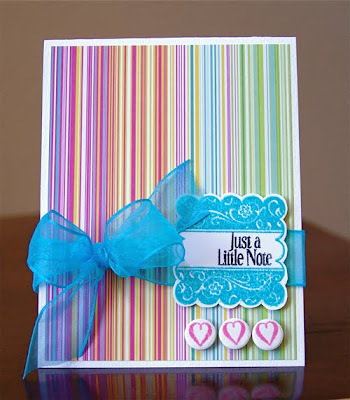 The inspiration on your cards is fabulous! Thanks for the chance! Great job using TT products. I'm a huge fan of their stamps. The quality and designs are wonderful. I would love to win, thanks for the chance. There is something wonderful in each one of Technique Tuesday's stamp sets. Thanks for the chance to win! I looooove their stamps. Their images are so cute and they stamp wonderfully. Thanks for the chance to win. Love Technique Tuesday stamps, especially the Ali Edwards designs. Though the Aviary one is very nice too. Wouldn't mind owning either one! I have been buying their stamps for years and I have always loved them! I too love TT stamps. Have used a few of them and would purchase more. 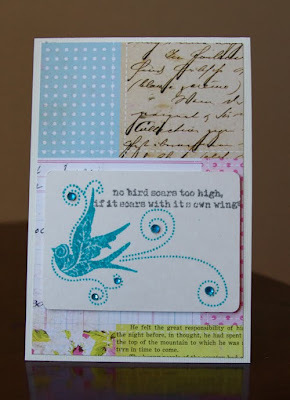 For sure love the aviary ones--need that "a little birdy told me..." stamp! Oh, I love these stamps!!!! TT has done it again!!! I have been getting more into stamping lately and am anxious to try out the Technique Tuesday. Love the simply stated set. I own lots of TT stamps and love them! I definitely needed the Mom set this past mother's day. thanks for the chance! I have several TT stamp sets---I love them! 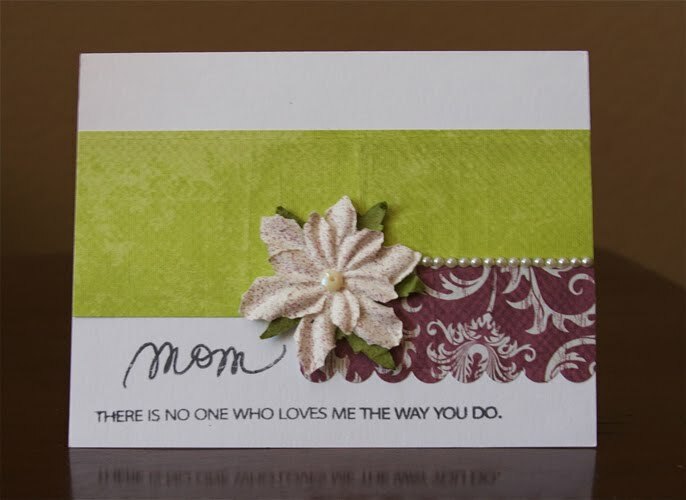 I could totally use these for anything I make for my MOM! Or MIL!! Thanks for the chance to win! well, I don't know if I would consider myself a genius - but I do know I love Technique Tuesday stamps - they are wonderful! Cute stamps! I love Technique Tuesday - they are fantastic stamps! love these stamps. i can see alot of use of road trip and simply stated. I am ready for a "road trip"! Your cards are very nice! Aviary is my favorite! Love it! Your projects rock as always...thanks for sharing your talent with us! Love simply stated! Thanks for sharing such a great prize! TT make great stamps that are so useful and easy to use. I would love to win some more. Technique Tuesday stamps are wonderful....crisp images and great designs. Thanks for the chance to win. I love the Mama & Simply Stated. LOOOOOOOVe the aviary set! TFS!!! And thanks for a chance to win! I've never tried Technique Tuesday stamps before, so I'm glad to read this review. I think the designs are awesome & cute - Will certainly try them soon. Loving the stamps!! Especially the sentiments!! I love their stamps, especially the little decorative elements. So fun to play with. Love these stamps!! Great job using them! technique Tuesday is one of my favorites!! they stamp sooo clear!!! oh how cute!! great cards too!!! OH i love Technique tuesday stamps -they are wonderful and i would lvoe to win some! I have alphabets and they are just the best! That bird set is awesome! :-D I'll have to look for that at my LSS! I love the road trip stamps. With two boys to scrap and make cards for, they are perfect! Awesome projects. Loved looking at those. I love the stamps, that borderline road trip one would be well used at my house. Thanks for sharing.